Boo, a Pomeranian named the “world’s cutest dog” died on Jan. 18, 2019. He was 12 years old. One of Boo’s owners, Irene, shared Jan. 19 on Facebook that she was heartbroken to have to announce Boo passed in his sleep this morning and he went to join Buddy, his best friend. Irene shared on Facebook a post reporting that people from all over the world have written to the page, sharing their stories about how important the pup was to their lives and how he helped them get through difficult times. Readers were told he was the happiest dog anybody had met. He never needed to be trained, and everybody loved him. Buddy, who was the dog’s best friend, died in Sept.2017 at 14 years old. The two were never apart and lived with each other for over 11 years. Irene wrote the cute pup was never the same after Buddy died. Early on Saturday morning, Irene posted on Boo’s Instagram that immediately after Buddy died, he developed heart issues. The pup became an international superstar in Oct. 2010. Grammy nominee Kesha tweeted on Twitter that she found a new boyfriend and linked the dog’s Facebook page. Some of the dog’s famous fans were Liam Payne, lead singer of the band One Direction, fashion designer Tory Birch and CNN News anchor Anderson Cooper. The famous dog wrote two books, “Boo: The Life of the World’s Cutest Dog” which was published in ten different languages, and his follow up, “Boo: Little Dog in the Big City.” He has also appeared on multiple television shows and has over 16 million Facebook fans. 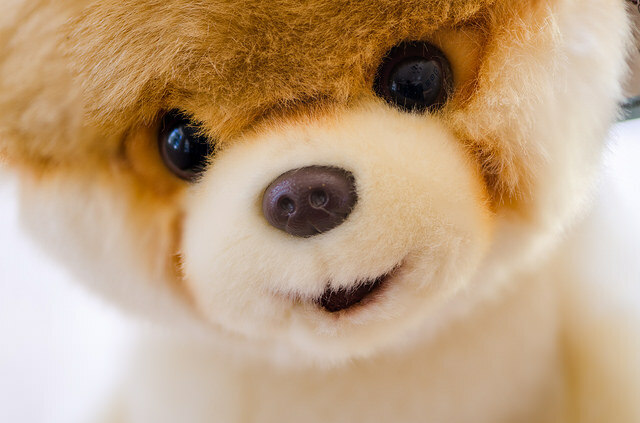 One Response to "Boo the Pomeranian Named ‘Worlds Cutest Dog’ Dies From Heartbreak Age 12"